Korea is known for its four distinct seasons. Each has its distinct charms and properties, giving rise to changing ecosystems depending on the time of year as different flora and water plants sprout up and color the landscape. 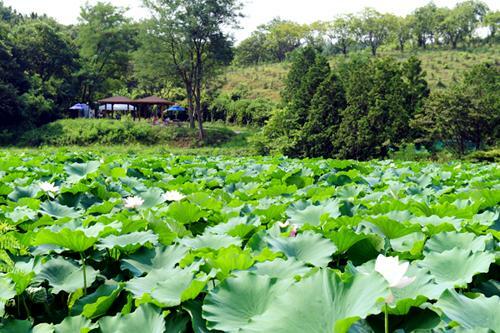 It is best to observe the lotus blossom and other water plants, for example, between the months of August and October. 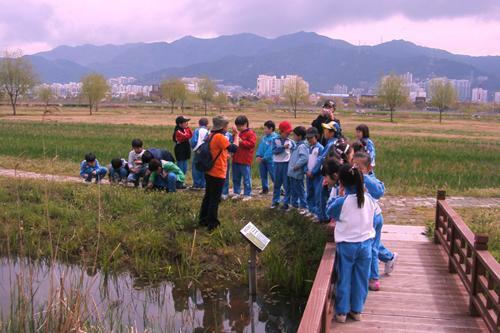 With an eco tour program around the constructed wetlands in the Hoiya Dam, the city of Ulsan in the southeastern part of the country is now one of best places to get closer to nature around this time. A local guide conducts the tours around a 4.6-km circuit while also providing clear explanations of the history, topography, flora and fauna of the landscape. As there is little natural shade and the terrain can at times be a little challenging to navigate, hiking boots or sturdy sneakers, cold drinks and baseball hats or sun visors are strongly recommended. Access to the wetlands is restricted to protect the environment and its wildlife, meaning that just 100 people can visit the area each day by signing up for one of the tours, which only run for a certain period. The dense forest of tall trees retains a pristine charm and provides a refreshing atmosphere as visitors stroll along a trail inside it. After walking for about 30 minutes, the wetlands come into view. Lotus flowers grow over a 50,000 sq.m area, while a larger field of reeds stretches for a breathtaking 123,000 sq.m. 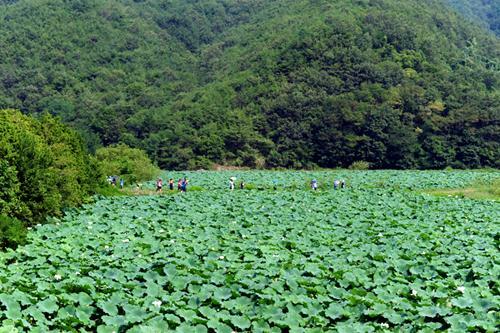 Some 40 species of aquatic plants, such as sweet flag and water snowflake, are grown here. Visitors sometimes receive free gifts of powdered lotus roots that have been cultivated and processed in the area to take home as keepsakes. 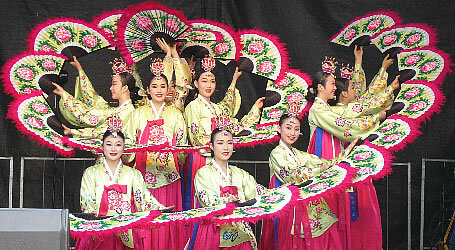 For more information about the free tour program, visit the city's website at http://guide.ulsan.go.kr. Those who are interested in learning more about a remote village's ecosystem can attend free classes on this subject at a beautiful location on Mt. Soimi in Busan's Dongnae-gu every Saturday from April to October. Eco-tours from the village to nearby wetlands are also available. On the first and third Wednesdays of each month during this period, students often head there on field trips, while group and family tours take precedence on the second and fourth Saturdays. 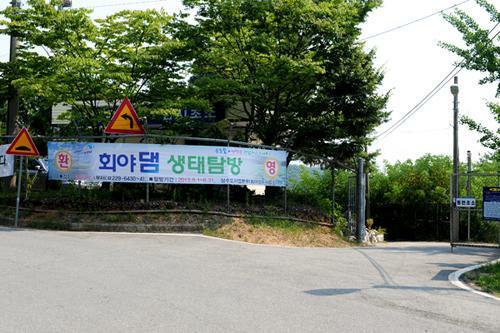 More information can be found at http://tour.dongnae.go.kr. 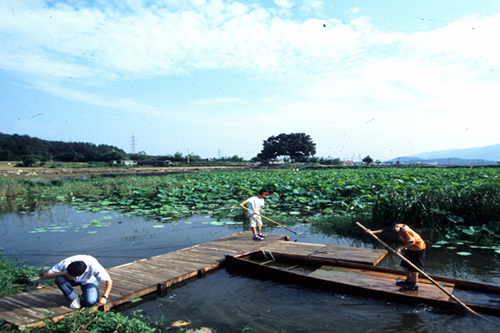 Junam Wetlands Park in Changwon serves as the nation's largest habitat for migratory birds due to optimum conditions as the water here does not freeze in winter. Visitors can watch them nestle and feed among the reeds and ponds. 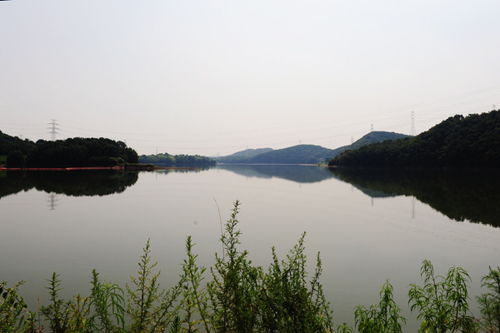 For more information, visit the park's website at http://junam.changwon.go.kr.